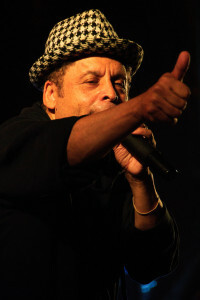 Review of Garland Jeffreys' concert at McCabe's in Santa Monica on January 8, 2005. He didn't mean to be gone for so long. What started as a few months off for Garland Jeffreys in the early '90s turned into a nine- year hiatus, and he wasn't sure what to expect when he came back. At his first show, "someone said they thought I was dead, all that kind of stuff," he says with a laugh from his New York City home. 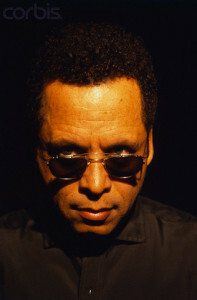 Garland Jeffreys has earned the respect and friendship of Lou Reed, Bob Marley, Bruce Springsteen and Paul Simon. Yoko Ono asked him to contribute an essay on her late husband, John Lennon, for an upcoming book, and director Martin Scorsese showed him performing in his acclaimed 2003 PBS series, The Blues. 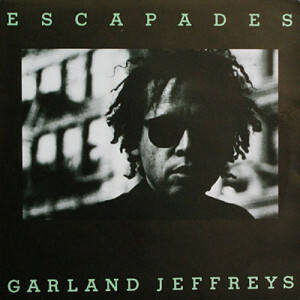 How a guy like Garland Jeffreys -- someone who writes with the swagger of Lou Reed and sings with the bravado of Bruce Springsteen - - went off the musical radar a decade ago is a mystery akin to those planes and boats that disappeared in the Bermuda Triangle. 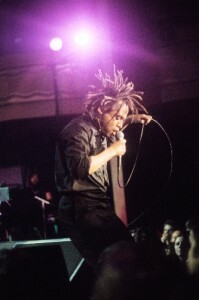 Mike Morgan of Smokebox reviews Garland Jeffreys concert at The Village Underground in March 2003. 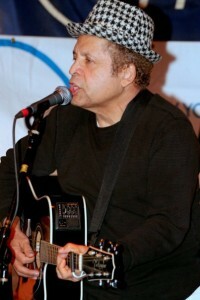 Feature article & interview with Garland Jeffreys in advance of his concert at the Acoustic Cafe in Bridgeport. Citizen Voice's January 2003 review of Garland Jeffreys concert Plowshare's Coffee House in Phoenixville, PA. Rarely does a day go by lately that this album doesn't end up blasting out from my stereo. Musically, lyrically and politically, it is one of the most infectious records I've had the pleasure of listening to. "We got the proclamation/ Now where's the real emancipation?" sings Garland Jeffreys in "Bottle of Love," a pungent pop-reggae song that is one of the strongest cuts on "Don't Call Me Buckwheat," his first album in eight years. Most of the cuts on the record are impassioned autobiographical reflections on racial and ethnic identity and the struggle for self-esteem by a veteran New York songwriter who is of mixed ancestry: black, white and Puerto Rican. 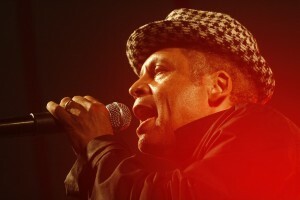 With his new album, "Don't Call Me Buckwheat" (RCA), veteran rocker Garland Jeffreys offers a perspective on race and racism that is unique in today's pop climate. Review of "Don't Call Me Buckwheat" by Garland Jeffreys. Written by Elmer Ploetz in The Buffalo News, February 28, 1992. 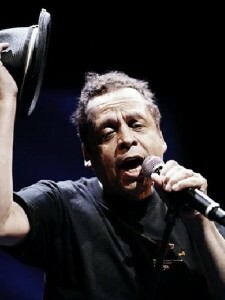 Garland Jeffreys maintains a viable career somewhere between hits and a cult. Neither extreme attracts him all that much. It depends on definitions anyway. He only wants to reach a maximum number of people with minimum compromise. Oh. Is that all? 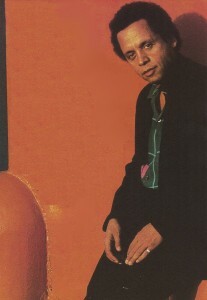 Garland Jeffreys' personal journey has carried him back to his childhood and forward to a new album. 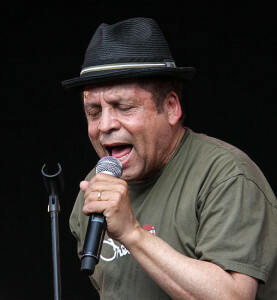 After a four-year sabbatical, Garland Jeffreys is back playing rock and roll. "There were rumors I had opened an Italian restaurant in Florence, or had moved to France and just quit the business," he said last week. "But I've written 100-120 songs in that four-year absence. Some of them might not be what the industry wants to hear, but I'm ready to try again." Marcellino Casanova. Johnny-one-arm. Little Angel from Laslow Street. Cinderella. Names that sound like Damon Runyon. Lives that feel like William Burroughs. These are Garland Jeffreys' mystery kids, and the extraordinary music that he makes about them seems to come straight from their lives. AMERICA HAS ALWAYS escaped through pop music. Imported African slaves sang while working to alleviate the pain and make sport of their masters. Through the Wars and the Depression, jazz provided hope and release. In the '50s, rock-and-roll developed as a merger of black and white music and helped loosen old prejudices as well as restrictive morals. In the '60s, music became an outlet for political protest and drug experiences. Today, Americans are confronted with so much that relying on music might be futile. Unemployment, inflation, draft registration, the decline of democracy, the power of the archaic Moral Majority, reincited racial and ethnic tensions, and terrorism combine to leave the average individual reeling. Recently, rock music has fragmented, reflecting the various attempts to escape: Middle of the road music, power pop, reggae/ska, new wave, disco and experimental music have divided record buyers as sharply as society has split. There is no longer a single "trend" in pop music. New albums from new groups proliferate, making demands on consumers, who need relief, not intellectual experiments. Of course, they don't need schlock either. 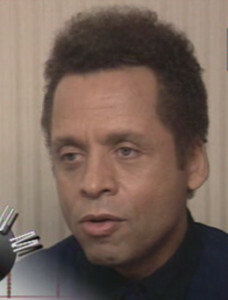 Garland Jeffreys continues to be caught up by the plight of young people who've disassociated themselves from home and family and are "exiled on the streets". 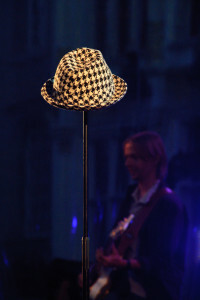 His new album, "American Boy and Girl," where he wrote all the songs, sings and plays some acoustic guitar and percussion, has several songs about these "urban throaways". 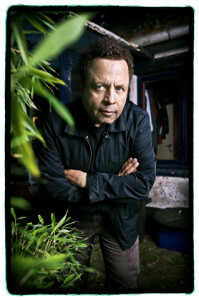 Feature article on Garland Jeffreys and his album, 'American Boy and Girl'. 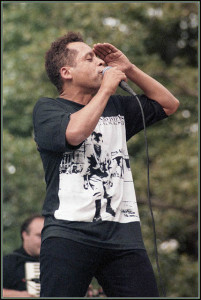 In what must be one of the quirkier manifestations of the Amerian Dream, Garland Jeffreys, a Hispanic-mulatto kid from the tough, pseudo-suburban Sheepshead Bay area of Brooklyn, somehow grew up to become a quadrilingual Renaissance scholar, perceptive urban poet, and - almost in his spare time - a pioneer in the possibility of rock & roll as a permanent way of life. No arm twisting was needed to get me out of the hosue this week. I blew what little money was left after paying my taxes, but this time, I got value for a change. First off, let me tell you about a balmy and bountiful Saturday night at Lincoln Center. 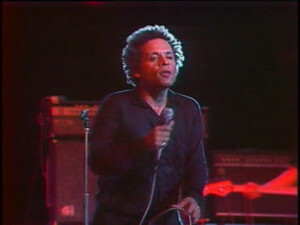 Brooklyn's own Garland Jeffreys performed a delightful set of his songs, largely culled from his current "Ghost Writer" LP. 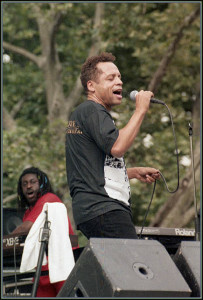 Garland's stage persona is as animated and full of well-time quirks as is his eclectic repertoire. "Spanish Town" came off better live than on record, and his rockers, "Lift Me Up," and "Wild in the Streets" were full of punch.